The island of Ios apart from the stunning beaches and the wide range of hotels has also famous and intense nightlife being literally the upcoming rival to Mykonos. The typical Cyclades-style landscape of white houses with courtyards full of flowers and narrow alleys is the scenery in daytime. When the sun sets the island turns into a big clubbing stage that you couldn’t even imagine! 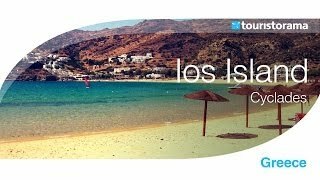 Ios Island there is no exception to the history of Cyclades islands in total. It has been inhabited since the early Cycladic period and the archaeological site of Skarkos proves that in the best way. Ios joins the Athenian Alliance and in the years to follow the island declines. In the 12th century goes under Venetian Rule as the ruins of the Venetian castle show. Ios Island covers an area of 109 sq. km. with a total population of 1.838 residents. The islands closer to Ios are Paros and Naxos on the north, Sikinos on the west and Santorini on the south. Nightlife in Ios is very famous and many of the beaches like the one of Mylopotas that attracts mainly young tourists keen on hard partying. Undoubtedly, Mylopotas is one of the best beaches in Mediterranean with golden sand and turquoise water and restaurants serving fresh fish and seafood. It is worth visiting the church of Panagia Gremiotissa that offers a stunning view of the island. There is a network of footpaths in Ios that is ideal for walking and having a different point of view of this beautiful island. You should try the local cuisine and especially tsimetia (stuffed pumpkin flowers) and myzithropita (cheese pie). Ios offers also a wide variety of herbs like oregano, sage, thyme and pennyroyal. By ferry or catamaran boats departing from Pireaus Port in Athens. From May to September. Depending on the kind of holidays you prefer, Ios in the busy August could be a party paradise or a just another noisy island. The island is located at 36th 5123.54 B & 25th 2657, 61 E. It has an area of approximately 18 sq km and is the largest island of the cluster of small Eastern Cyclades. It is located south of Naxos, east of Ios and west of Amorgos. Is also near Schinoussa. Kato (Lower) and Pano (Upper) Koufonisi form the cluster of Koufonisia. Only Pano Koufonisi is populated and offers hotels but both of the islands of Koufonisia have excellent beaches. The two islands are connected with frequent caique rides in summer.